Hi, I'm a 16 year old who decided to switch from PS4 to PC. I always was apart of the master race and have had a Steam account for 8 years now, but I wanted a PS4 to play with my friend. My last PC died out from old age, it was a Q6600 and a 8800GTS. I had been using it for like 4 years until it died. The 750Ti was handed down to me for free from my grandad and the HDD was also handed down to me but by my dad. I have yet to have any problems with them yet. I built this machine all by myself after 6 months of collecting money and research. I was so out of date with computer components that I watched at least 200+ videos on what to get. The case I'm using is the Antec P160 anodized aluminum case. Old and has no room for cable management. The MSI B250 PC MATE is an easy to use motherboard and has plenty of fan headers and a decent layout. The BIOS is pretty good too. Good job MSI, overall happy with the quality. Yet to experience problems with booting up, and boots up incredibly fast. 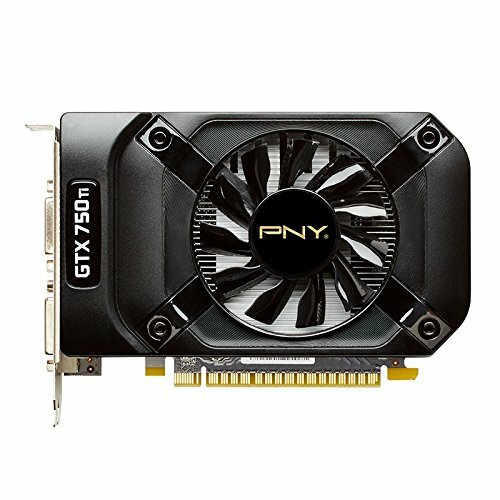 The GTX 750Ti used to be a fantastic card and still is but it's outdated and its price is too high for such an old card considering outher cards like the 1050(Ti). That doesn't take away from its performance though, it still is a fantastic card if you find it for 90$ or under. But I'm lucky and managed to get it for free from my grandad since he got a 1070. I'm giving it a 3 star for its price and that this specific model used a mini HDMI, like what the heck? Come one PNY! The EVGA PSU has great build quality but since it's not modular it hinders my cable management. 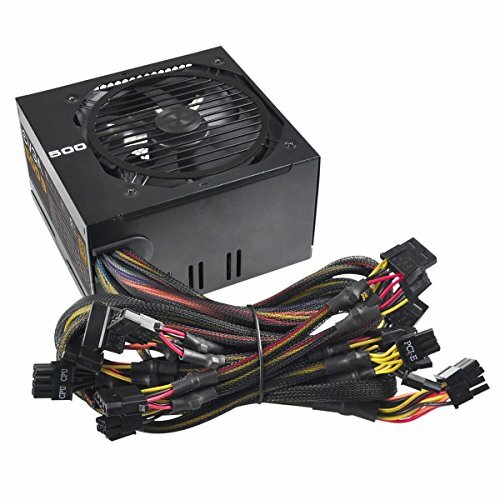 Otherwise still a great PSU. What case is that. 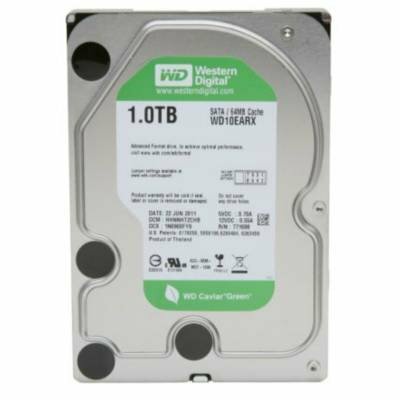 I remember having that in my very first gaming computer with a GTX 560. Nice build, but could you maybe tell us all of the parts instead of just 5 of them? I have the case in the description, I'm using the case fans and an RCA 1080p 60hz TV as the monitor. The 750 ti will bottleneck your cpu but it seems like you will be upgrading soon? Also, you have an awesome grandpa! I was thinking about buying this same Motherboard. Have you liked it and its BIOS? I'm not looking to overclock so I think this might be pretty good. Just looking for someone's input who has had it. 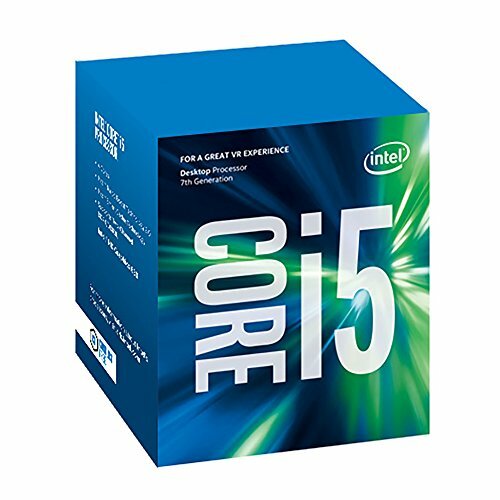 Hoping to use a 1060 and i5 6500. Hey sorry for not getting to you. Yes I did enjoy it, real easy to navigate. I have no experience in downloading an OS, my dad that while I was gone. But it is def worth. No problem, thanks for the reply. How many chasis fan headers does mis mobo have? I have the corsair 400c case with 2 fans and i dont want to have one of them just there. I'm probably incorrect, but you can goto newegg's url>specifications. You'll find all the specs there. gtX 1070 + GRANDDAD is too funny. cool lucky you. my granddad was a high school teacher. He said he was given a 750 ti? On the review for the 750 ti it mentions his granddad got a 1070 and that is the reason for him receiving the 750 ti.